The kitchen is the heart and soul of any home. It's the room where you prepare meals and snacks for your family and gather altogether to catch up on the days events whilst having your meal. Our Prima kitchenware range is guaranteed to make your life simple in your comfort zone, the kitchen! This ceramic frying pan is your ultimate kitchen essential. This must-have pan features a solid ceramic non-stick coating, it is made from eco-friendly aluminum with a stainless steel base to ensure the heat is spread evenly while cooking. 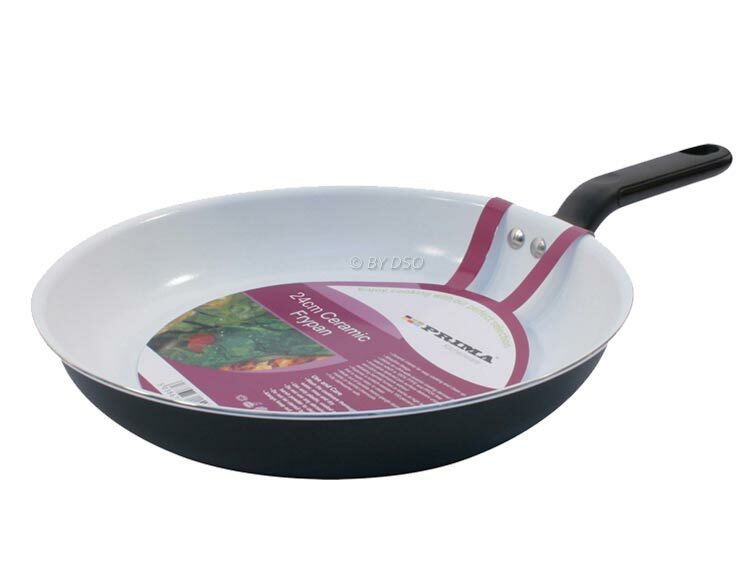 This sturdy, versatile, good-looking frying pan is a real asset to any kitchen!